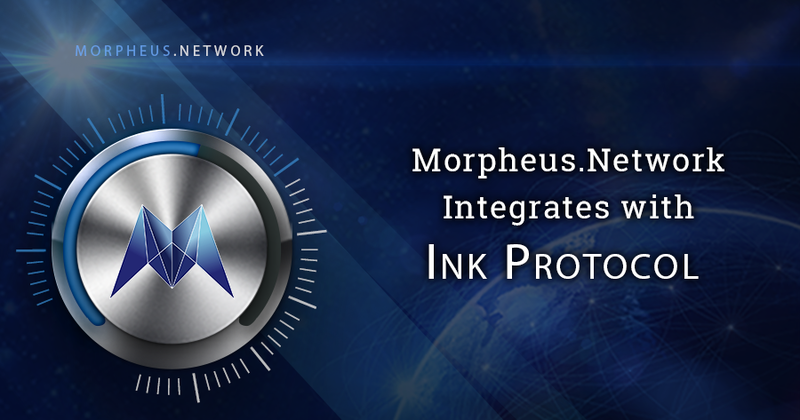 In our continuous effort to allow extended options and easier accessibility for cross-border payments within the supply chain, the Morpheus.Network team is excited to introduce our latest integration: we’ve inked a partnership with Ink Protocol to utilize their payment module as part of the Morpheus.Network platform. Ink enables decentralized reputation and payments for peer-to-peer marketplaces. Ink Protocol allows users to send and receive payments safely and securely using a decentralized escrow service and, if needed, third-party dispute resolution. Public feedback can be provided for each completed transaction, building a decentralized reputation system that be shared anywhere. Ink Protocol was developed by Listia, a successful trade marketplace since 2009. By integrating Ink Protocol with the Morpheus.Network, our platform users will have greater confidence in executing payment transactions. The importing or exporting business requires trust, and this newly announced integration will help bridge the gap between trade partners worldwide. MORPH tokens are available only here for purchase through April 22, 2018. For more information, visit https://morpheus.network. Read more about the project in their whitepaper. You can also connect with the Morpheus Network on Telegram, Twitter, Medium, Reddit and Facebook.